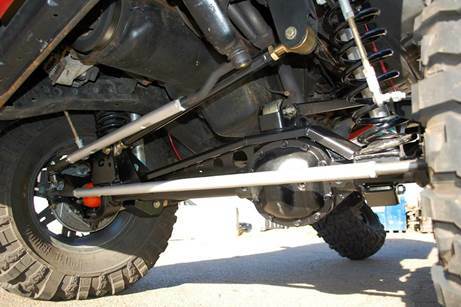 The all new high steer system from Clayton Off Road is the only complete system that transforms your stock Jeep front axle and allows you to run a crossover high steer system with larger brakes & calipers, and improved ground clearance. 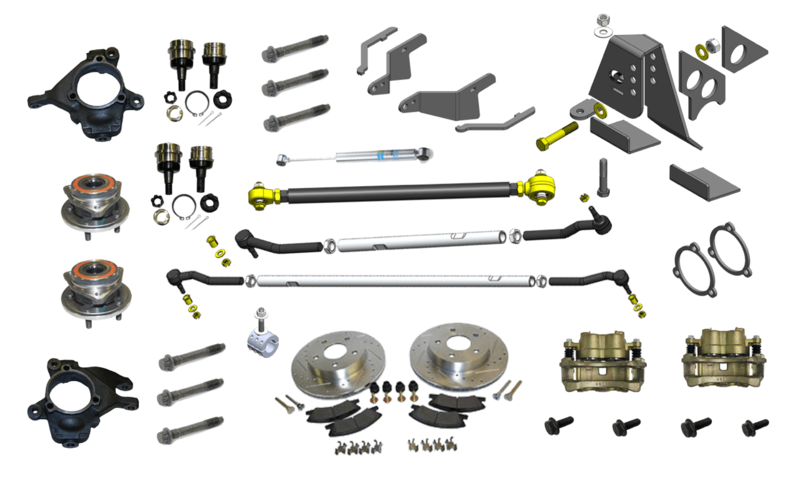 Designed to work with high and low pinion Dana 30 and Dana 44 front ends, this kit will work with MJ, XJ, ZJ, TJ, and LJ factory axles. The high steer system is complete, you don’t need to source brakes or unit bearings, or have anything machined. It allows you to retain your factory bolt pattern, as well as run RCV shafts with no modifications to the knuckles. There are no special tools required for install, but you will need to weld on a some new brackets. For more information and additional pictures of the kit installed visit our website or call us at (203) 691 8593.